I confess. I am a romantic. Deeply. Hopelessly. I love all the chic flicks with happy endings where the girl always gets her guy. I love romantic proposals and weddings, sentimental gifts and things passed on as keepsakes. Have you ever run across something completely by accident, and it becomes one of your most cherished things? This happened to me several years ago. We were moving my Grandma to a new location and through the packing and moving we found the most amazing romantic sentiment ever. It was a simple mirror; floor length and placed on the only wall in her hallway. The mirror had been there as long as I could remember, but it never really drew any attention to itself. I am sure I looked into it at least a million times over the years growing up. 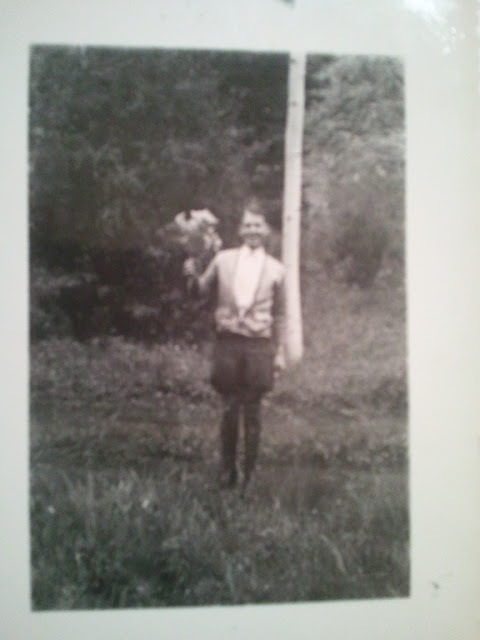 My Grandpa Glenn holding a bouquet of flowers. sister, and I will cherish it always! Thanks, Lu!